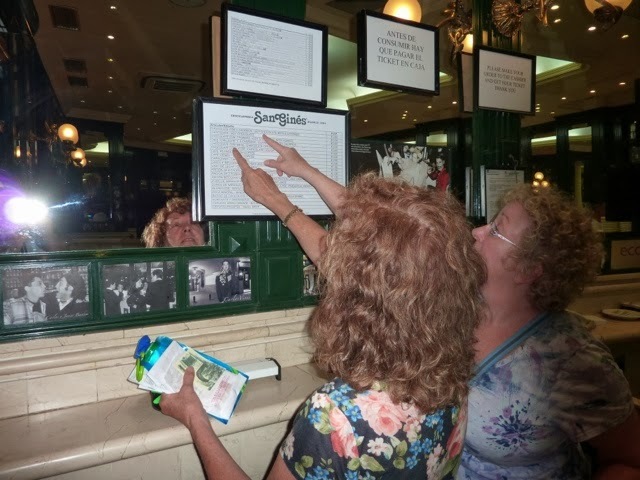 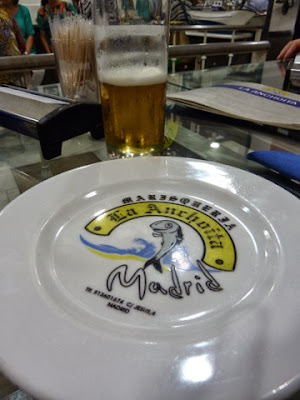 Atocha rail station that is noted for its tapas places. (Tapas are supposed to be inexpensive little appetizer treats that you point at to order.) We are not very skilled at this; I don't think we chose well. 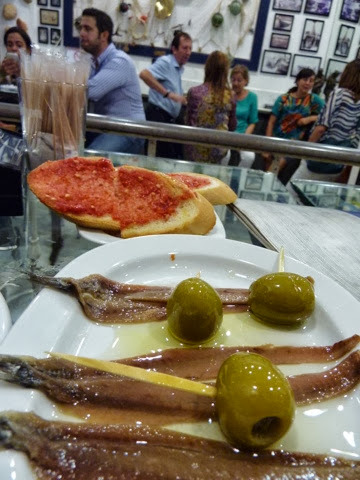 For instance, this place specialized in anchovies but I was the only one who tried them. 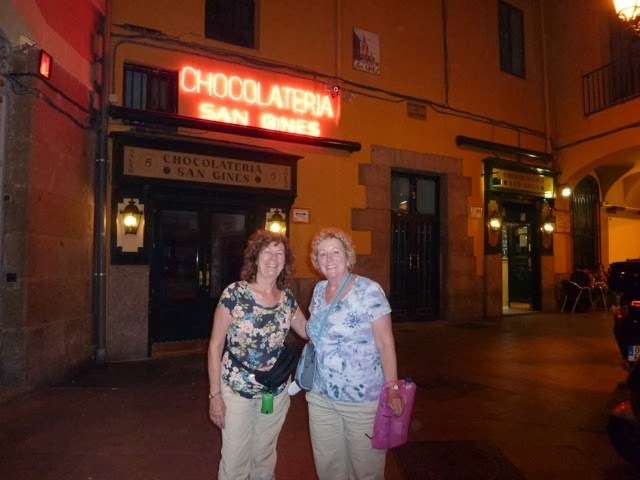 I think that Gloria and Mary were more excited by their visit to this chocolate specialist than they were about anything we saw in Toledo. "I'll have one of each!"